In this area you will find many tools to help you continue on your journey. Most of the links on this page will open in a new window, so you don’t have to keep logging in again (just make sure to keep this window open). All of the information here has been carefully curated for where you are in your journey right now. As you move along the path you will be given access to other Rings. One Ring is not better than the other and they do not correspond to a linear progression, it is simply a method for organizing the information. Please do not share the codes for any of the Rings with anyone else. This information is provided to assist you, and based on our work together. I know where you are on your path, and what would be most appropriate for you. Thank you! As we move through the rings, you will find repeating patterns & topics, each building on the other. Sometimes it might seem circuitous, but they are all deepening and expanding your overall awareness of this information. Some of the information may leave you with more questions than answers – and that is perfect. This will allow you to take the information you learn here out into your daily life, and look for patterns, metaphors, and resonance – which will then lead you to your own answers. Yeah! This statement was a HUGE realization for me. I came to a place in my life where I realized I had been being an “energetic weasel” as I like to say. I had been trying to manipulate things, people, and situations to get what I wanted. I had been practicing black magic without even knowing it. It was a huge wake up call. I felt like I had a giant laser that I was swinging around, burning holes in whatever I thought about. I needed to get clear, and I realized that if I wanted to gain clarity in my life, the best place was to start getting clear with myself – by coming into my integrity. These statements might seem harmless, but they are big breaches in integrity, and can cause you to actually loose life force in the area of your third chakra, or digestion. This is also why the feeling of being overwhelmed is most often connected to digestive disturbances. You’ve overstepped your boundaries, and literally taken on more than you can digest, and it’s a big energy leak. 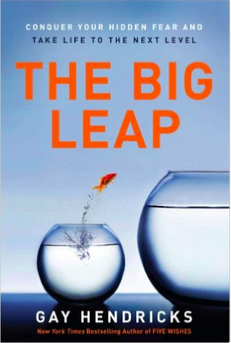 One of my favorite books on this topic (though that’s probably not the way the author originally intended), is The Big Leap by Gay Hendricks. The book is about how we self impose “upper limits” on ourselves with old stories or ideas. Where in your life are you not taking full ownership? What have you have been tolerating lately? What important feelings are you not letting into your awareness? Where in your life are you not telling the truth? Is there any where in your life where you would like to come into more energetic integrity/alignment? Allow the truth ‘Honor Yourself’ to penetrate your body. Breathe deeply as you shift your attention to your solar plexus and abdominal area. Am I feeling strong? Frightened? Do I need someone’s approval today? Will I need to be courageous? Remind yourself of your boundaries, dignity, inherent honor, and integrity. Make a spiritual promise in terms of how you want to live your life today. 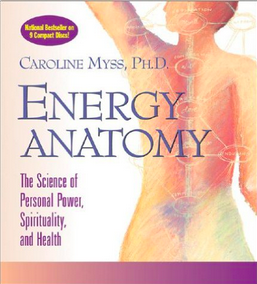 One of my favorite ways to explore the chakras is the audio recording: Energy Anatomy by Caroline Myss. Your beloved I AM Presence is the piece of God, Source Energy, Great Spirit inside you. It is what differentiates us from animals. When you look into the eyes of an animal, you see a consciousness, but you do not see the same spark that you see when you look into the eyes of another human being. Animals do not look for their Creator, a quality that part of the main theme for every aspect of human existence. Your mighty I AM Presence resides throughout your body in your DNA, and it is most condensed in the area of your Solar Plexus chakra. Understanding this powerful energy vortex and all that the I AM is, is an important part for regaining your personal sovereignty as the Creator of your life. In Cymatics, the study of visible sound, the word OM creates geometric patterns, the code of creation. The Tetragrammaton is is the Hebrew theonym יהוה, commonly transliterated into Latin letters as YHWH. This is the unspeakable name of God – forbidden to pronounce in the Jewish tradition because it is so powerful. Across multiple ways of thinking – it is in the speaking, that we have the idea that from sound comes creation. Now want to see something really cool? At about 2 minutes in, we discover the 7 rings of the Seed of Life symbol from Sacred Geometry corresponds with the 7 days of creation! The concept of the I AM also comes from the Ascended Master Teachings (Ascended Masters are beings like Jesus/Sananda, Saint Germain, Lady Nada, Kuan Yin, and others who were once human but then ascended to the etheric plane. Students of Ascended Master Teachings organizations believe that the Presence of Life – God – Individualizes as the “I AM” and incarnates throughout the created universes. They believe that their Teachings have been given to humanity by the Ascended Masters. The distinct qualities of the I AM presence is explained very clearly here. From a Chinese Medicine perspective, we see the metaphor of the creation story continue – first there is yang, then yin, and then the other, the third, the one that distinguishes between the two. Without getting too technical, we can say that the acupuncture channels begin with the Yang (the Du, or Governing Vessel), then move to the Yin (the Ren, or Conception Vessel), and then differentiate into the third (the Chong, or Penetrating Vessel). The Yang/Du channel runs vertically along the spine, and the Yin/Chong channel runs vertically along the midline on the front of the body – while the third/Chong channel runs in the very center of the body. In Kundalini, this central channel is called the sushumna, and is the pillar where the chakras are located. This central channel is the I AM. It is also synonymous with your immune system – in the way that your immune system differentiates between internal and external/organs and pathogens/good bacteria and bad bacteria. I AM this… I AM not this…. These are journal prompts for you to explore in your magical notebook. Spend some time each day contemplating the prompts before and after you write your answers in your journal. If you’re going through your day, and suddenly have an insight from thinking about these questions, write it down! Be sure to record any questions or “aha” moments so we can go over them during our next session (be sure to remind me!). The Galactic Mantra is a series of powerful I AM statements, or affirmations designed to raise your vibration. This is one of my favorite tools for expanding my awareness of what I AM. I first found this song in 2007, and it hasn’t left my phone since! I recommend that you listen to this song up to 3 times in a row, and try to really FEEL every different aspect that is presented. For example, when you hear: “I AM light, I AM infinite, I am expanding…” really try to shift your energy to FEEL what it feels like to be light, infinite, expanding, and so on. The artist combines binaural beats (so it’s better with headphones) to put you in a state of receptivity before listening to the affirmations. Click here for the words so you can follow along with the I AM statements. THIS ONE IS VERY IMPORTANT! 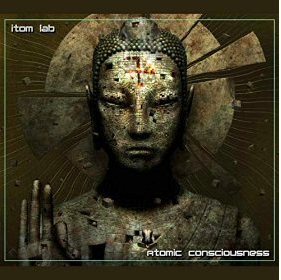 As science looks more and more at the human body with greater technology, we have begun to come full circle in understanding what the ancients knew about the heart, the brain, and divine consciousness. What is the heart? Is it more than just a pump for blood? Or could the truth about its power be related to the essence of your entire being, and have a field of energy so great that it can transform not just your own being into that of light, love and happiness, but even those around you. What is the shining light of the heart, and how can you access it and gain the inner knowing of who you are and why you are here? Our exploration and discussion into Chakras goes much deeper as Patchman attempts to describe the nature of the half-step, and the difference between the 7 and 8 Chakra systems, as well as the 12 & 13 system. NOTE: The information here may be updated and changed at any time without notice, so be sure to check back often to stay updated. The links to books & other products are amazon.com affiliate links, so I do get a little perk for suggesting them – but that in no way compromises the integrity of my recommendations. I’d love to hear feedback from your experiences with this information. A lot of it will come up as we work together, further enriching our conversations. And most of all… have fun exploring!